The tragedy of 9/11 has never really completely left my mind, nor do I expect it to. The events from that day are forever etched into my mind with such detail, it’s almost frightening. Like most people, I don’t like talking about it, because it’s hard to re-live and process all the emotions that go along with it. While I know several people who were lucky enough to not be affected, I do know several people who died, including a few people from my high school. I remember the nightmare of trying to locate my dad, knowing his company was on one of the top floors of the second building. I remember instantly being brought back to the bombing of ’93 when we waited literally ALL DAY before we heard word that my dad had made it out safely – after walking down 103 stories in the dark as part of human chain. 9/11 is a day I will never forget. This year though…remembering it this year feels different. I think it’s because I’m still processing the marathon bombings…it’s only been 5 months. What happened on April 15, 2013 directly impacted me on a personal level – more so than 9/11. But remembering the aftermath of September 11, 2001 feels more somber this year. Yesterday I read a lot of posts of people’s reflections from that day 12 years ago…and the feelings remain quite fresh for some. The students that were in my class that day are now seniors in high school. I am fortunate to still be in touch with a good number of them. 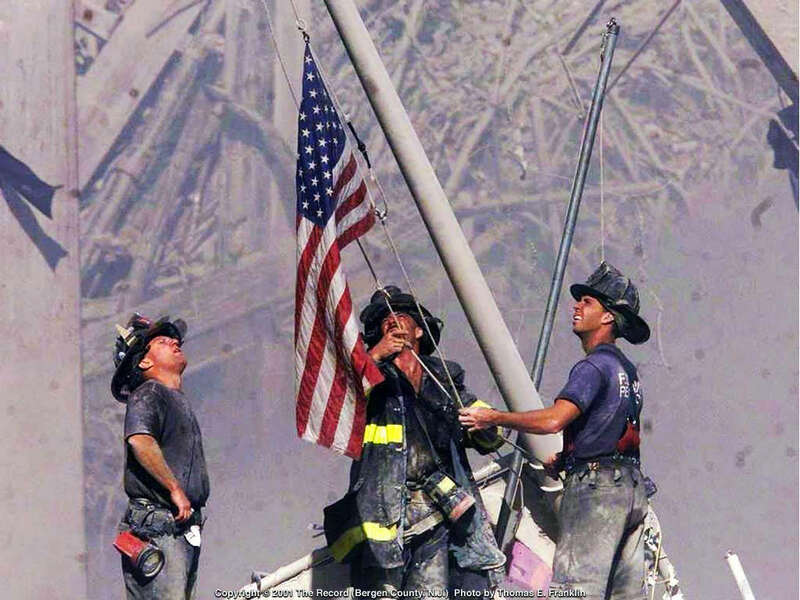 Whenever I hear from one of them, I remember 9/11 because that day forever changed me as a teacher. I remember being outside on the blacktop, not knowing anything had happened, and suddenly seeing and hearing fighter jets fly overhead. As my kids stopped playing and we all looked up to watch them, I wouldn’t understand the significance behind those jets for a few more minutes. Looking back, I wish the innocence and genuine excitement behind their viewing of the jets could have lasted for forever. “Look how fast they’re going, Miss Moo!” I remember watching them for the next several months as they “played” out the tragic events in their own way. In the block area they would build two towers of blocks and then take toy planes and have them crash into the towers. Their drawings and writing had similar themes and I remember being heartbroken thinking that this was real scenario for them – that growing up this would be a defining moment of their childhood. I also can’t think about 9/11 without recognizing that the ultimate outcome of all of this madness was war. I have never been a supporter of war, but my study of nonviolence over the last several years has given me a deeper understanding as to why war – or any act of violence – is never the answer. My hope is that somehow, some way, we can begin the journey of healing, and that along the way, we will all experience some peace.